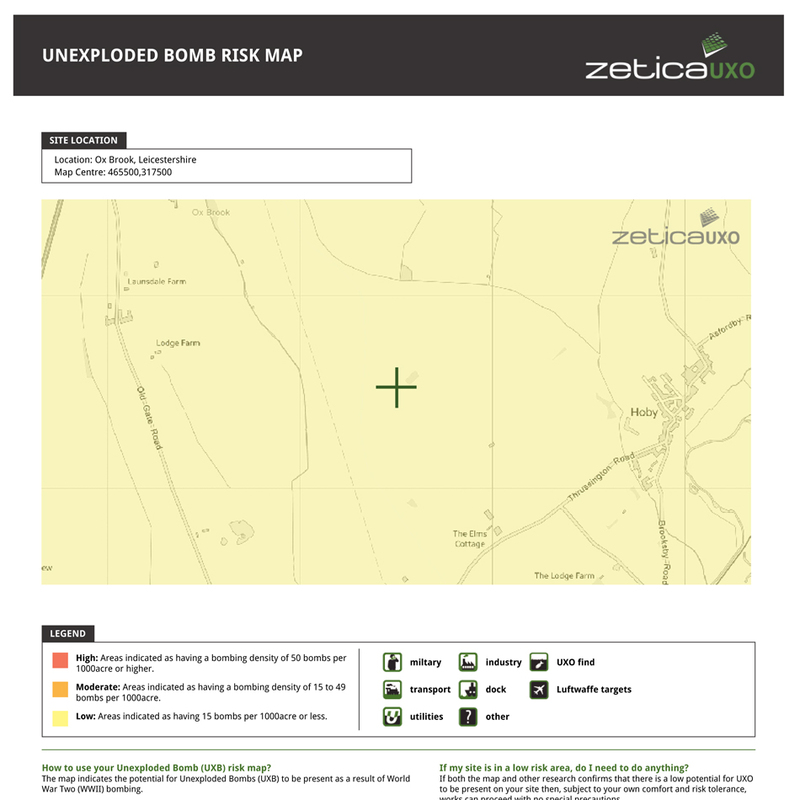 Zetica is the UK’s most trusted Unexploded Ordnance (UXO) specialist and holds a vast database of records, of potential UXO hazards, including Unexploded Bombs (UXBs) from World War Two (WWII). 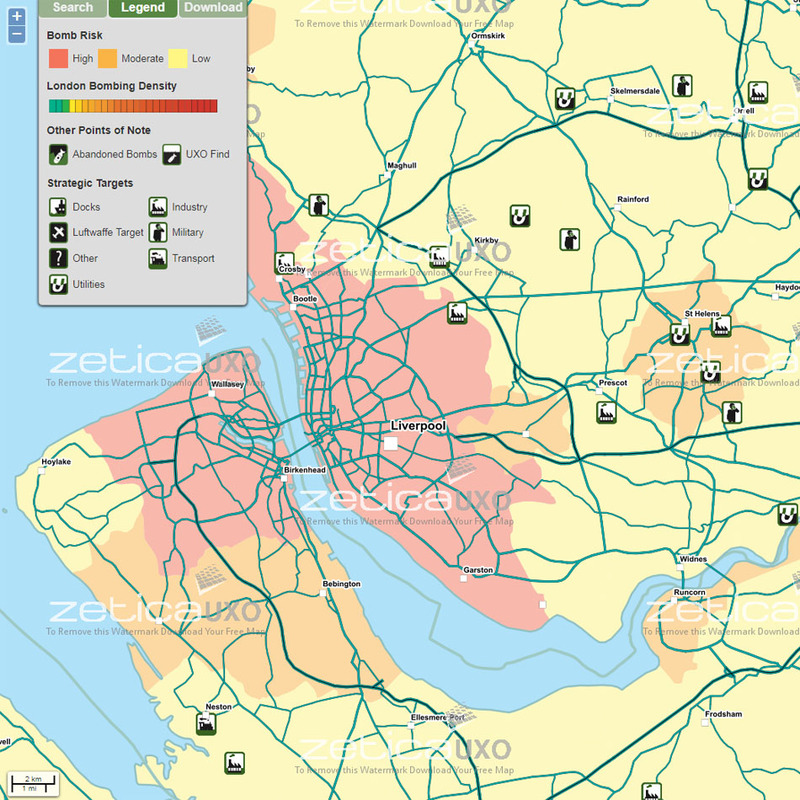 Zetica previously had produced a series of UXB risk maps as static images, and were seeking an improved online mapping tool or application to give prospective developers the ability to browse and download site-specific maps on the relative level of risk provided by WWII bombing. The new mapping application integrates seamlessly as an <iframe> into Zetica’s web page. This allows users to pan and zoom around the map and search by City, Town and Postcode. A Legend references the map features and Bomb Density Risk bands. The download form captures prospect details before delivering a PDF map via email.